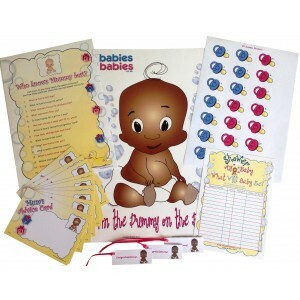 Ethnic Baby Shower Games Pack is a Complete Package of Games & Keepsakes for an Ethnic Baby Shower. 1. 10 Mum's Advice Cards - Guests fill in these cards with their words of advice and best wishes. These are a lovely keepsake for Mum plus act as an alternative to a guest book. The Complete Package of Games & Keepsakes for an Ethnic Baby Shower. 3. 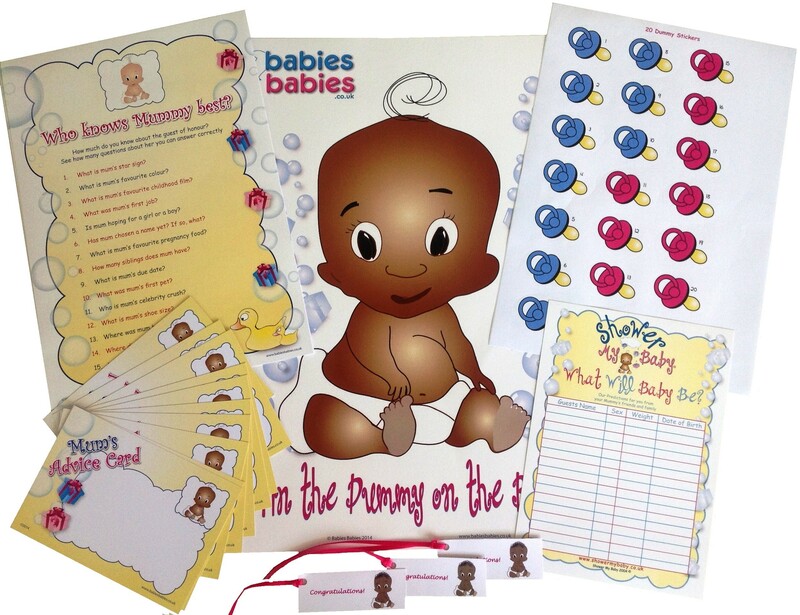 Our very Popular Pin the dummy Game - A3 Glossy Poster with our very cute Baby and 20 Adhesive dummies. Blind folded guests stick an adhesive dummy onto the baby & the closest to the baby's mouth wins the game. Remember to write each guest's name onto her dummy. Such good fun!